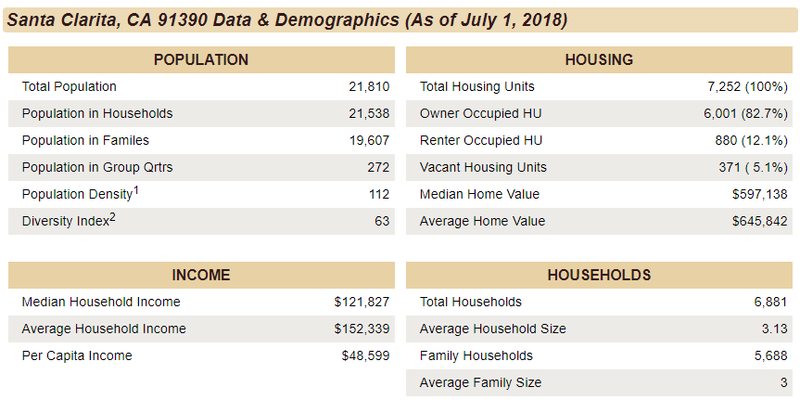 Never let it be said we don’t have all the information you might want to see to make an informed buying decision on our website… Here are the basic demographics For each of the zip codes in the Santa Clarita Valley. 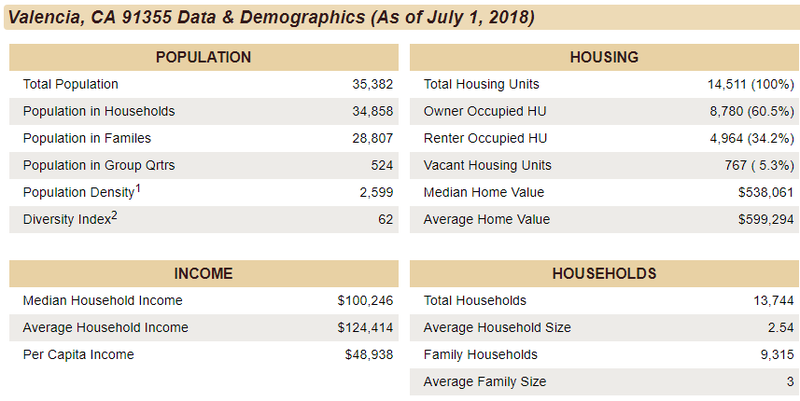 Try not to draw any conclusions about a city or neighborhood, because every neighborhood has its exceptions to the rule. 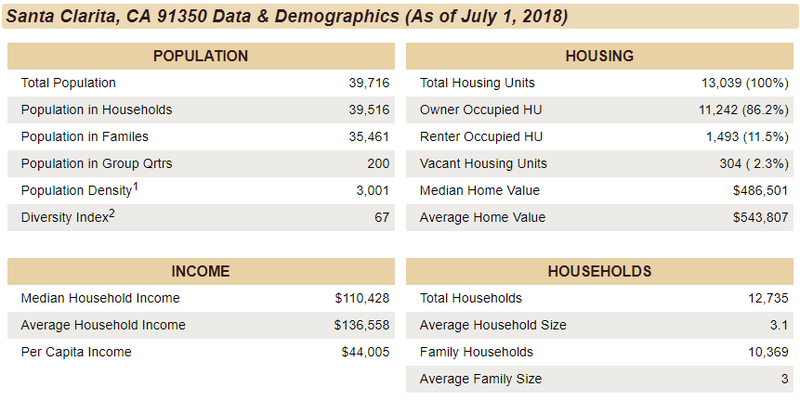 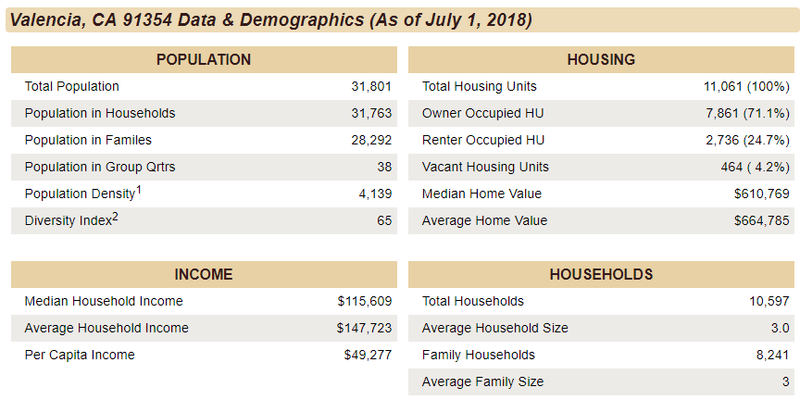 Never let it be said I don’t have all the information you might want to see to make an informed buying decision on my website… Here are the basic demographics For each of the zip codes in the Santa Clarita Valley. 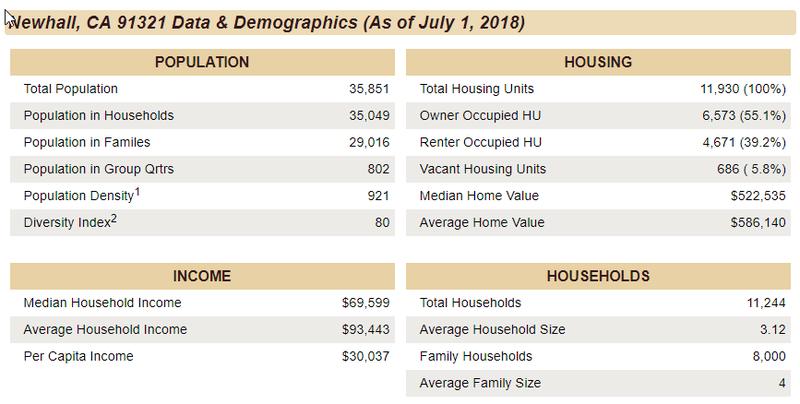 Try not to draw any conclusions about a city or neighborhood, because every neighborhood has its exceptions to the rule.